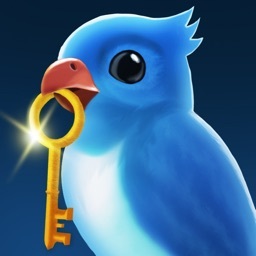 Cracking the new puzzler The Birdcage requires some outside the box thinking. In the game, the story focuses on a heartbroken king who lost his young son in a climbing accident. He then locks away what his son loved the most – the beautiful blue bids that populate their kingdom. You’ll need to release all the birds from the cages to unleash the wind once again. The game features 21 golden cages where you’ll need to use all of your puzzle solving skills to free the birds. The great touch controls allow you to feel the surface of the cage and also sense the atmosphere. Gamers should also enjoy the atmospheric audio and great soundtrack that helps sets the mood while playing. An interesting AR mode also brings another fun way to play. The Birdcage is designed for the iPhone and all iPad models. It can be downloaded now on the App Store for free. A number of in-app purchases are available featuring premium levels to tackle.